Sometimes you can't wait until the evening to talk about murder. With that in mind, we invite you to join us for this afternoon book club, meeting on third Tuesday each month at 2PM on BookPeople's third floor. Join us for discussions of some of some of our favorite books in the mystery genre. All meetings are free and open to the public! This month, we're discussing The Daughter of Time by Josephine Tey. Book club books are 10% off when purchased at BookPeople! Join us for a reading group discussion of The Daughter of Time by Josephine Tey! Inspector Alan Grant of Scotland Yard, recuperating from a broken leg, becomes fascinated with a contemporary portrait of Richard III. Could such a sensitive, noble face actually belong to one of the world's most heinous villains? Or could Richard have been the victim? Grant determines to find out once and for all what kind of man Richard Plantagenet really was and who killed the Little Princes in the Tower. Mystery writer Sally Bissell will host a discussion of The Daughter of Time by Josephine Tey. 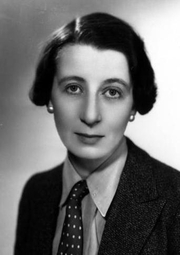 Josephine Tey, birth name Elizabeth Mackintosh, was a Scottish-born novelist and playwright. She wrote some of the most acclaimed mysteries in the English language and her books, including the Alan Grant series, are still popular today. She attended the Anstey Physical Training College in Birmingham, England and became a physical education instructor before publishing her first short fiction in periodicals such as the English Review. Her first novel appeared under the pseudonym Gordon Daviot in 1929. Her best known work, The Daughter of Time (1951), is still widely admired not just as a defense of Richard III of England but also as a study of the nature and practice of history writing itself. Josephine Tey is currently considered a "single author." If one or more works are by a distinct, homonymous authors, go ahead and split the author. Josephine Tey is composed of 23 names. You can examine and separate out names.